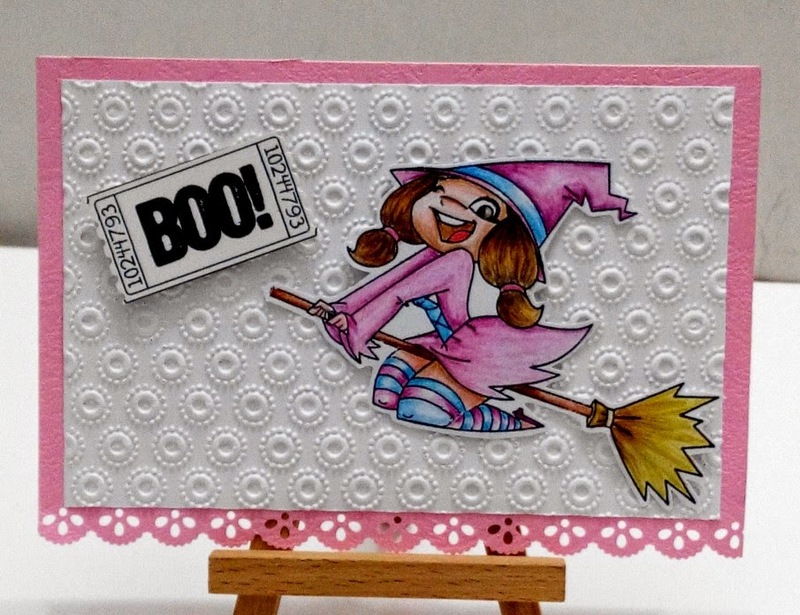 Made this card using CC.Designs 'Witchy Willow' stamp. I coloured it with Faber Castell watercolour pencils. CC.Designs October challenge-halloween card using non-halloween colour ie black,orange,green,purple. Hi, cute image and love the colours.